In September of 2011, the Obama Administration created “We the People,” a site dedicated to the right to petition for all American citizens. The “We the People” platform has resulted in addressing many important issues from the economy and foreign policy to technology and the environment. 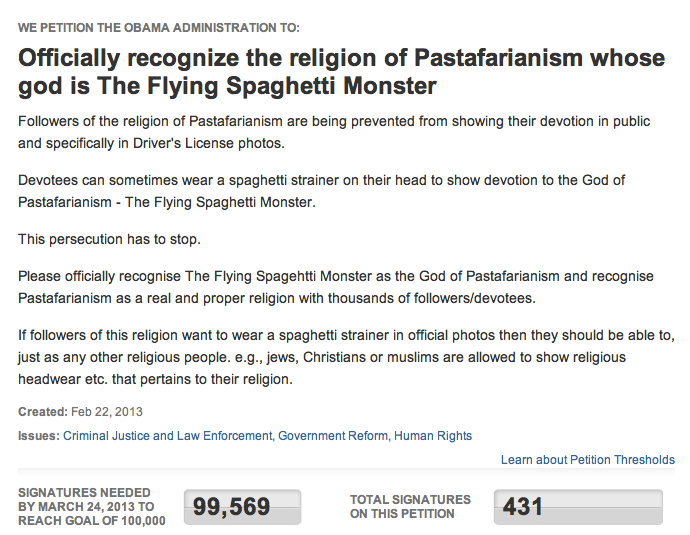 But for every well-thought out petition important to thousands of Americans, there is an equally ridiculous petition conceived by a citizen hoping to entertain fellow people of the United States.